Airbase Aqua is our range of water based colours perfect for body art. The initial 8 colours in the Airbase Aqua collection complete the Aqua Essentials Pack and include all the primary colours (red, blue and yellow), black and white tones and three shimmers (Gold, Silver and Bronze). 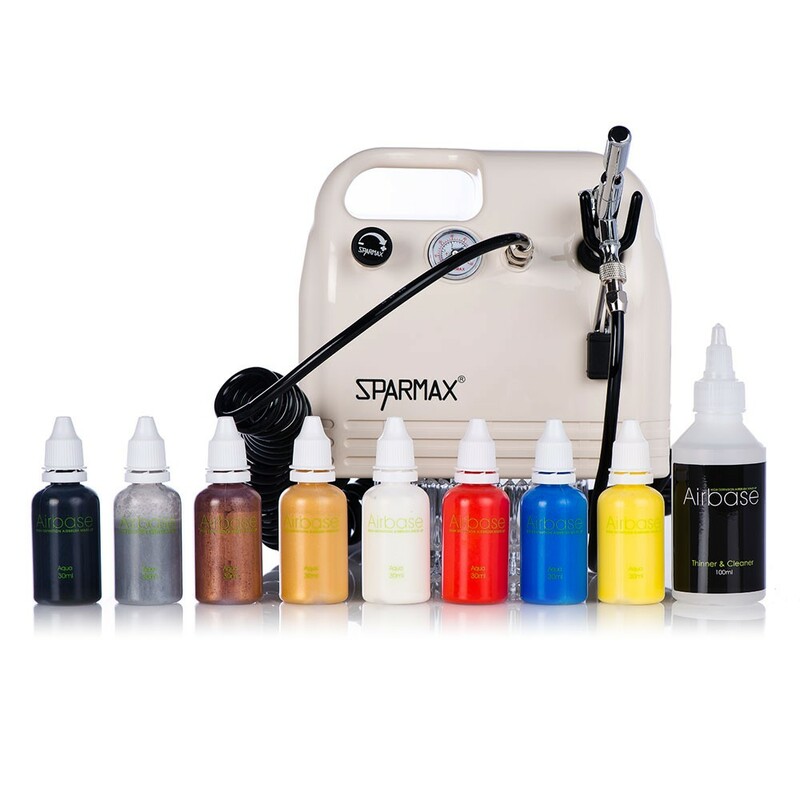 This kit includes a compressor and dual action airbrush selected for Body Art application. Airbase Aqua is high pigmented with fantastic coverage. Body Art courses are available for beauty and make-up colleges throughout the UK and Ireland.